Are you interested in creating flavours of vegan cheese that you can’t buy in the shops? 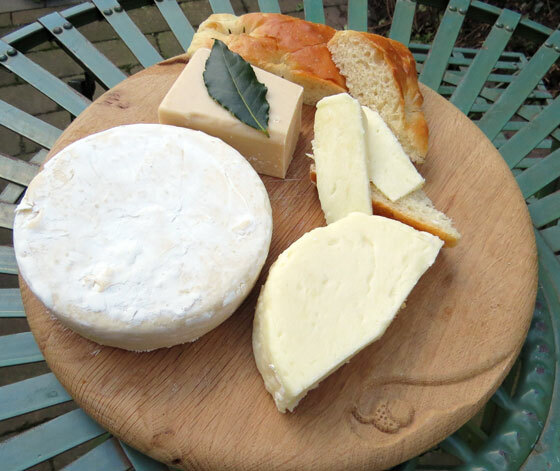 This course will teach you how to make your own delicious dairy-free cheese at home. The session is a mixture of step-by-step demonstration and practical hands on cheesemaking. You will learn how to make cheese using a cooked method which gives a meltable, gratable, firm cheese. We will also explore making cheeses with a food processor, using ingredients such as nuts and tofu. You will take home a selection of the cheeses we make. We will be using recipes from The Non-Dairy Evolution Cookbook by Skye Michael Conroy. If you’re ready for a more advanced course, I recommend courses run by the Vegan Cheese Lovers Club. "I enjoyed everything! The cheese tasted great and the pizza was yum. Fun way to learn something I'd never done before. My favourite was the brie recipe."